Anyway, it has been a fun-filled week, to say the least. 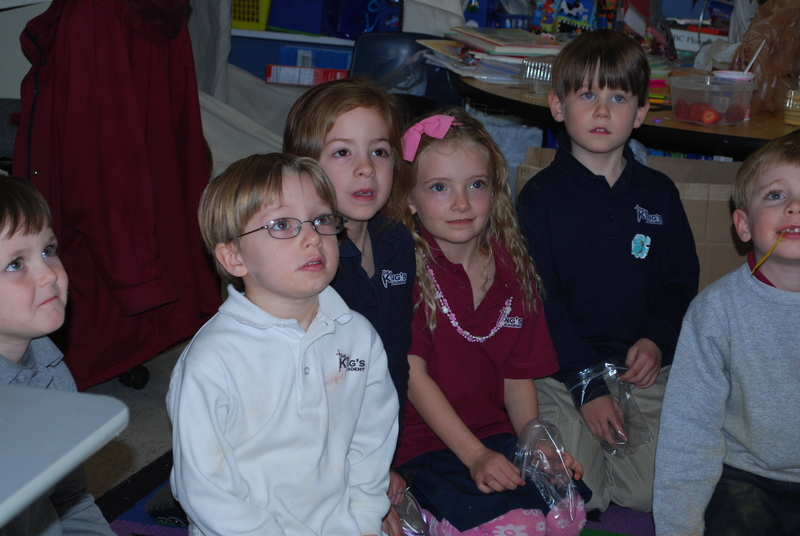 Last Friday I had “Snowman Snuggles” with Molly at her school. We had breakfast together, and she gave me a cute snowman she made at school. 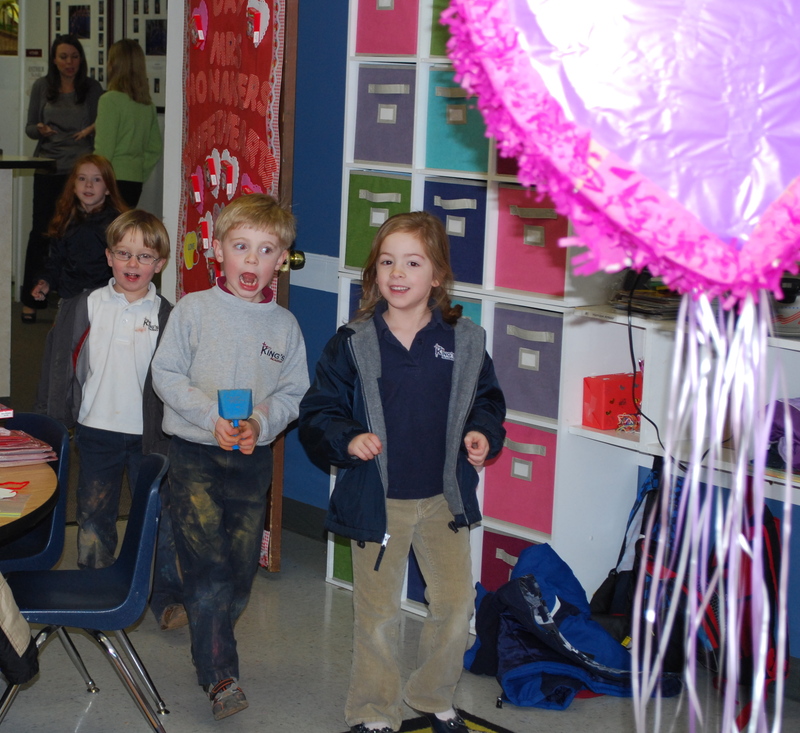 She also sang a sweet song with her class. She answered some questions about me in a book, too. She said that I was “23 years old,” and I just shook my head like she was exactly right! She said my favorite food is “mall food” and that her favorite thing to do with me is get a slushee together. I don’t drink slushees though, so I guess she means she likes when I get her one! That girl is so funny. As you will soon find out, this is Molly’s new smile. Oh dear. Let’s hope this phase doesn’t last too much longer. She has beautiful brown eyes that I would like to capture in a picture! 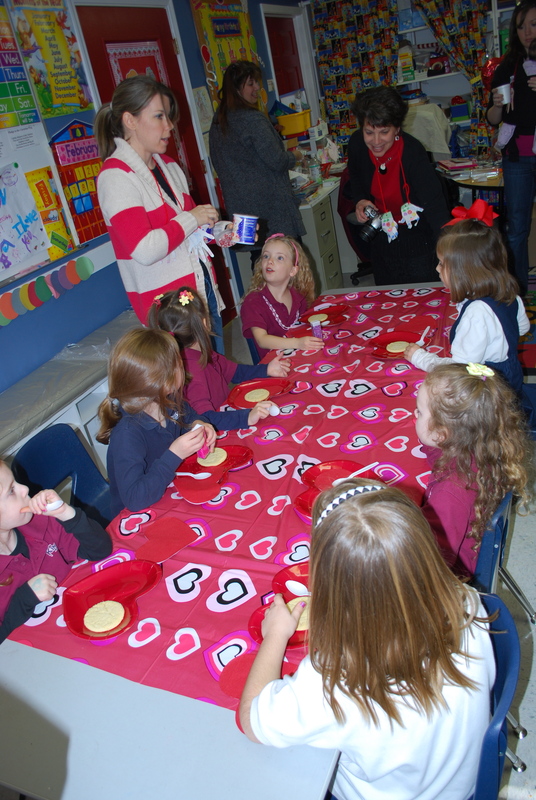 I got to help plan the class Valentine’s party for Molly’s class on Friday afternoon. 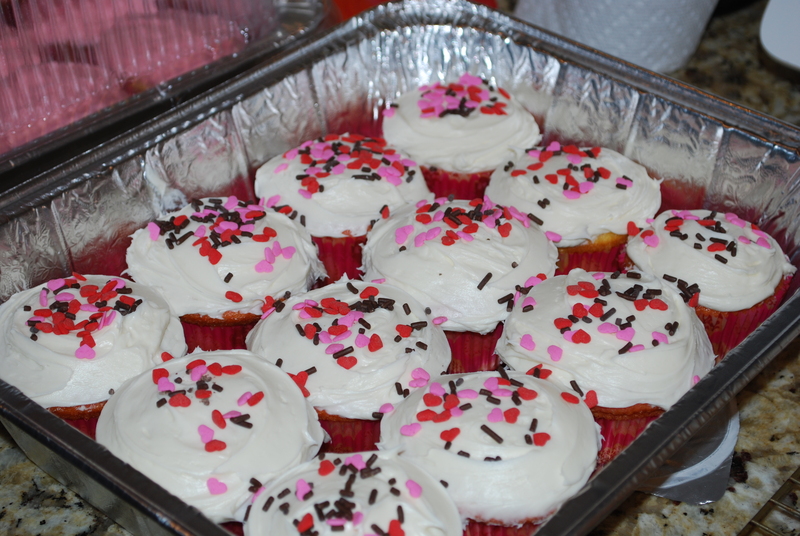 I also brought cupcakes for Ruby’s class. Ruby said that they were good and that her friends all liked them. Maybe we need to make them for our HOME school class on Monday. 🙂 I think the teacher would like that very much. 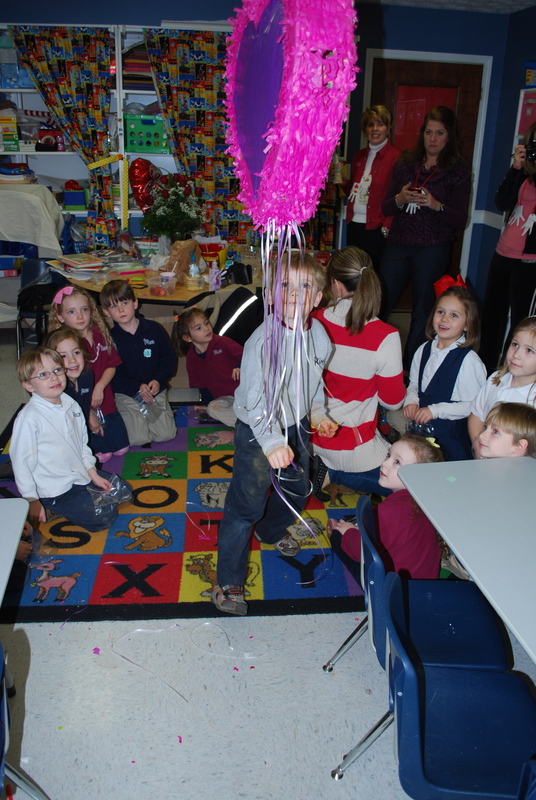 Molly and her friends came in from recess to a decorated room. Their faces were so funny as they each walked through the door. And by the way, take a look at the boys clothes…were they rolling in the mud?! Probably so…. We had the kids trace their hands and cut them out and then stick the hands on each side of the lotion with an “I love you” for their mom. 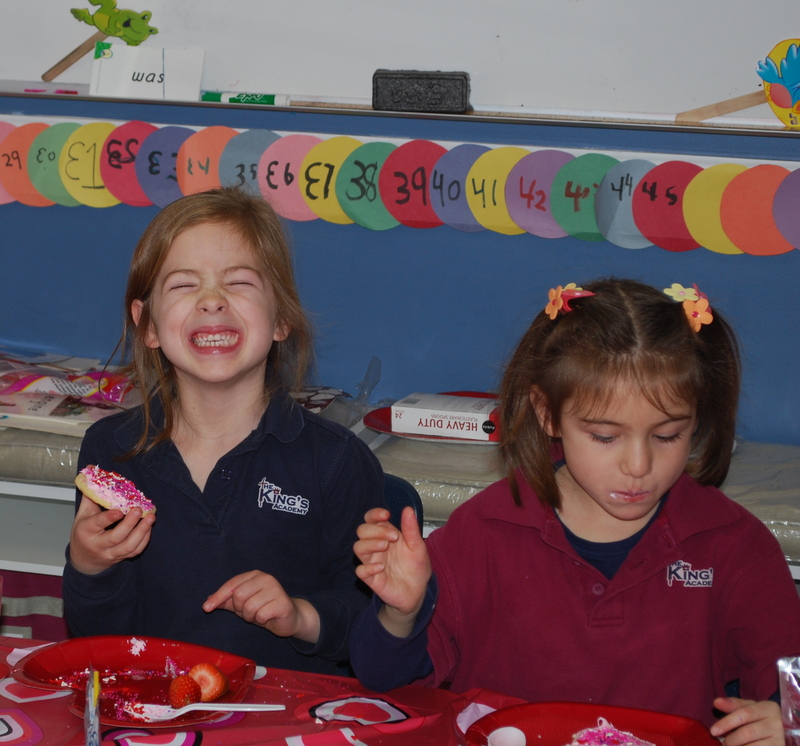 The kids got to decorate a sugar cookie with fun icing and sprinkles. Waiting patiently for when the candy dumps out! 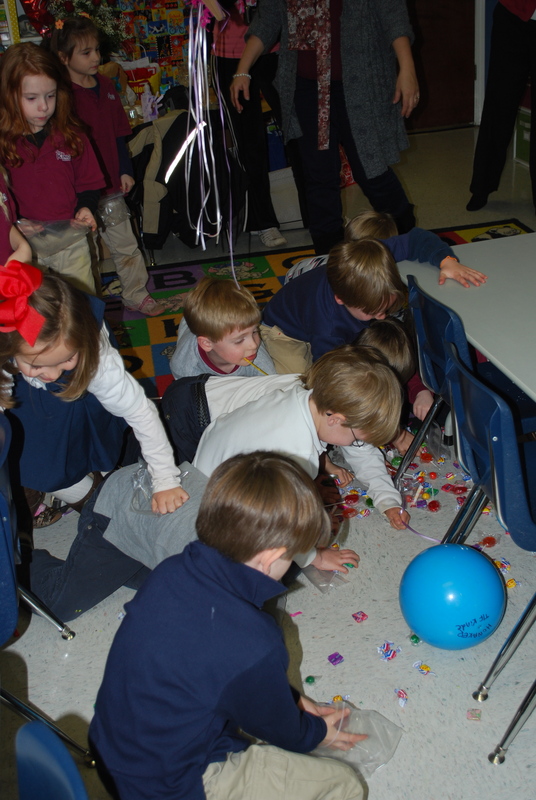 Not so patient when the candy dumped out…. 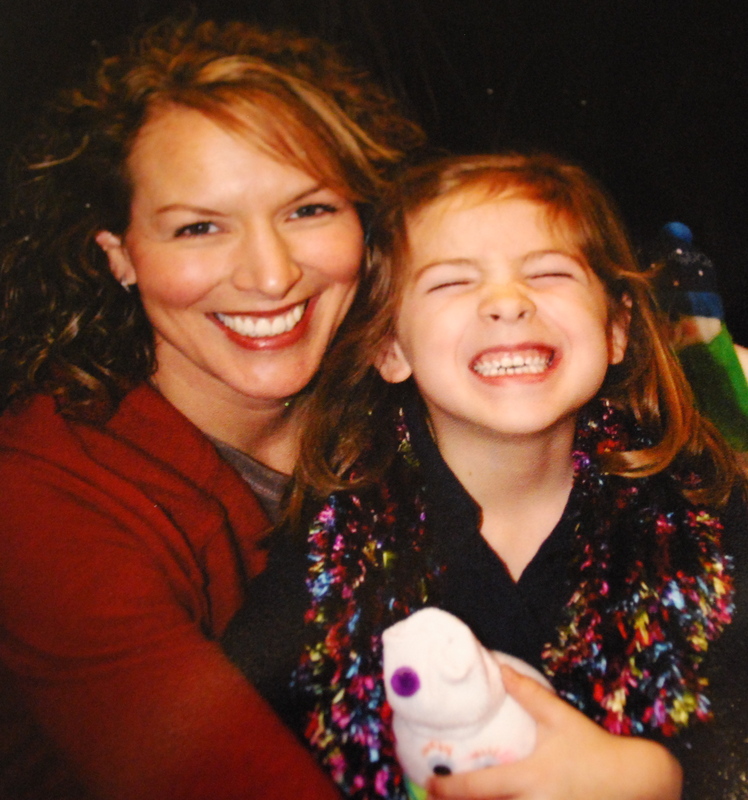 I sure do love this persistent, sensitive, silly, kind-hearted cutie-pie! We left school and went to church to set up for our adult Sunday School party. The kids were jealous because we were going to be playing Wii. We ate pizza and salad and desserts, looked at everyone’s wedding album and played Wii. It was such a fun time. I could have stood to talked to people more and dance less, but I couldn’t help myself. It was so fun!!!!!!! And quite a workout. I am so out of shape. Maybe I should ask for Wii for my birthday??? I don’t have any pictures of the actual singing and dancing because I was too busy dancing! Josh did take some video, which is hilarious. If I ever learn how to post the video, I will. Don’t hold your breath though. The wedding albums were so fun. 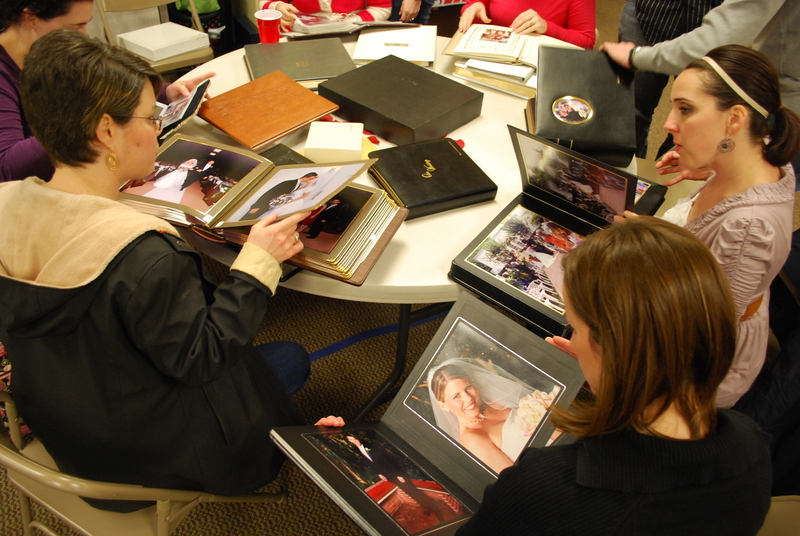 It’s rare after ten or more years of marriage to have your wedding album out with all of your friends. We laughed at how young some of the couples looked getting married….like, some were 12 years old, I am sure. Others had more hair. Some of us were really tan. All of us look more rested then than we do now, that is for sure! People drove off in antique cars, cadillacs, and corollas. There were lots of kissing pictures. Most of us were married in the time frame when albums were very traditional. “Look, here’s the bride with all the bridesmaids. Now here is the groom with all the bridesmaids. Oh and here’s the bride AND groom with all the bridesmaids.” What in the world is up with that?!? By far, the funniest story was of Dana and Scott. They went to Jamaica to get married. They needed two witnesses and couldn’t find anyone….so the lady doing her hair found some for them!! I love how these people are clapping for them like they really are happy for them and wish them the best. Not sure if you can see the tattoo on the arm or not….she also has on a skirt that barely covers her behind. Oh so funny!!!!!!!!!! I hope you are having a nice, love-filled weekend. We enjoyed lunch at the mall (so our house can be shown), ice cream and reading books together. I also baked the kids Sunday School teachers some cookies so we can tell them how much we LOVE them and how they serve week after week. I hope you are loving on some of your favorite people! what a cute craft! the cupcakes look yummy too! i love looking at old wedding photos…they are always fun. sounds like ya’ll had a VERY HAPPY VALENTINE’S!! Love you all!! BTW, I keep looking back at the dirty jeans…wowza…that must have been some mud hole!